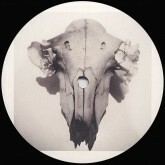 Wolf Music Recordings has cemented itself as a consistent purveyor of forward-thinking house and disco. Its early 2010 vinyl releases (Paw To The Floor EP in particular) are dead cert classics that helped introduce a host of now familiar names like Greymatter, Session Victim, Dead Rose Music Company and KRL. The Wolf family seem to be on a renewed winning streak: Medlar’s ‘The Sun’ dropped back in January and was one of the label’s highlights, a sublime and surprisingly authentic-sounding nod to the smokey, jazz-infused Chicago house of yesteryear – a sound Medlar successfully replicates here. Another Wolf regular, the ever-dependable Session Victim opens EP 18 with the duo’s trademark rugged, housed-up soul: a stutter of a piano loop is rubbed up against a swirl of grizzled blues vocal samples. But Medlar lays down the real treat with ‘Carry It’, an equally vintage-sounding cut, grounded by a dirty thrum of driving bass that pulses and grooves with all the charm of Moodymann’s classic ‘Shades of Jae’. To add to the Moodymann factor, there’s a nicely organic ‘chink’ to the percussive hits and even a touch of obligatory crowd noise. The second half of the EP isn’t quite as arresting as it veers off into heftier dancefloor territory: Squarehead’s ‘Be Without’ continues the trend for New Jersey house, all rolling bass drums and pitched-up diva vocals; whilst Ishmael finishes things off with a minimalist cut that centres around a curt synth yelp and little more.